Costa Mesa may be most well-known for the location of South Coast Plaza, one of the largest shopping malls in the country, as well as the Orange County Fair grounds. It is also home to the Segerstrom Center for the Performing Arts as well as the South Coast Repertory Theater all known locally as South Coast Metro. However, the predominant residential areas lie in Westside Costa Mesa and Eastside Costa Mesa. Westside includes Mesa Verde, mostly single family homes. Eastside Costa Mesa, with its proximity to Newport Beach, has been experiencing an upsurge in remodels and pricing, as land becomes more valuable. 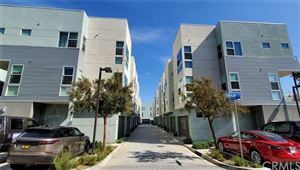 Central Costa Mesa is sporting a new live/work style, with garage and office space on the first floor, living on the second, bedrooms on the third, and rooftop decks to enjoy the ocean breezes. 17th Street is the trendy area with restaurants and shops shared with Newport Beach.